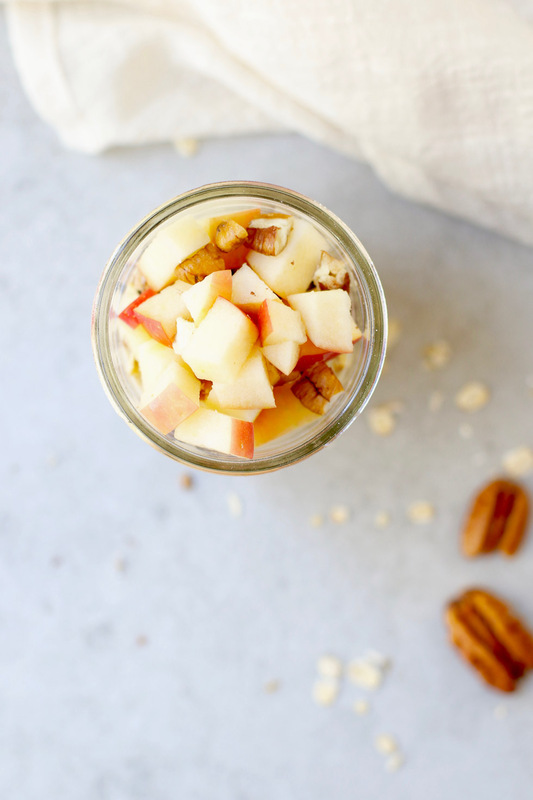 Put breakfast on autopilot with this no-cook, apple pecan overnight oats recipe. 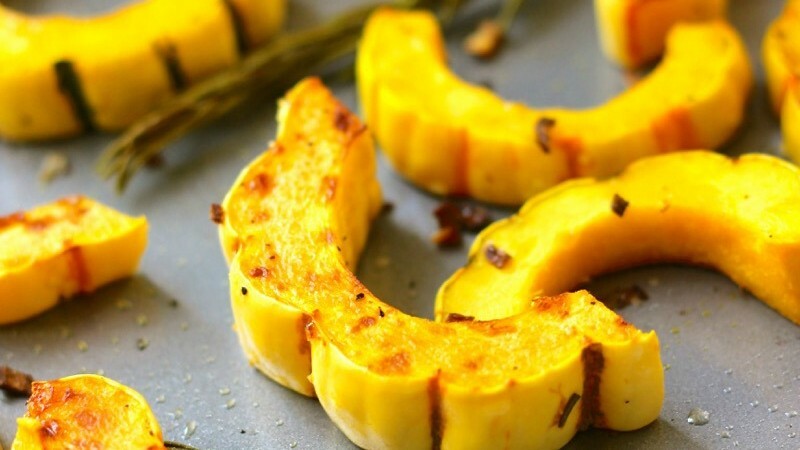 This recipe was recently refreshed with new photos! Everybody knows breakfast is the most important meal of the day. If you’re a skipper… you are missing out. 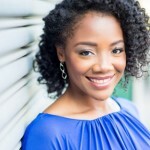 Don’t have time? 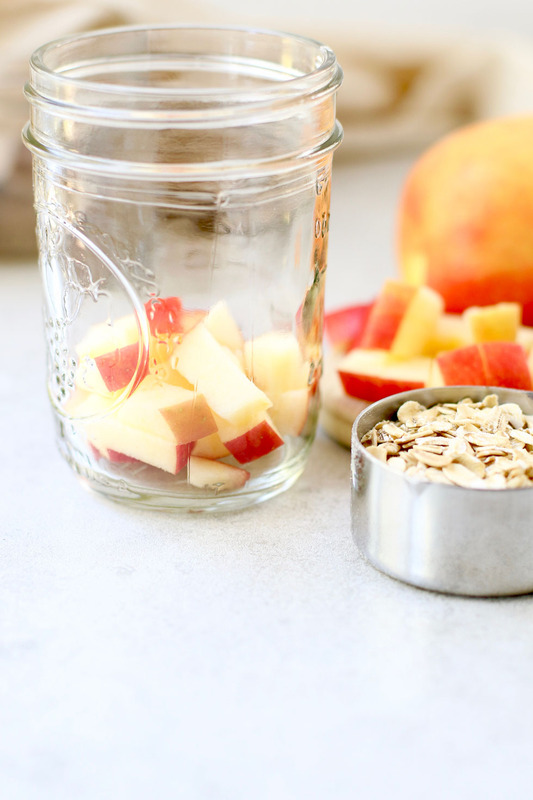 This refrigerator oats recipe delivers a wholesome breakfast in just a few minutes. This concept of no-cook oats is not new. Muesli has been around for years but never really caught on in the United States. It’s traditionally a blend of oats or other grains, milk or yogurt, dried or fresh fruit, and nuts. 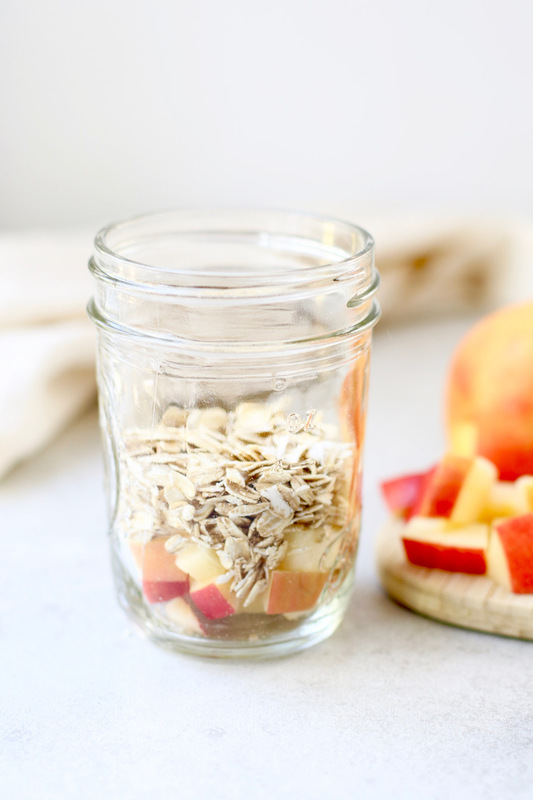 No matter what it’s called or where you eat them, refrigerator oats may very well be the easiest way to eat your oats. Sunday Night Tip: Line up your bowls (or jars) and add the ingredients assembly line style. Shake and enjoy a grab and go breakfast for the next few days. 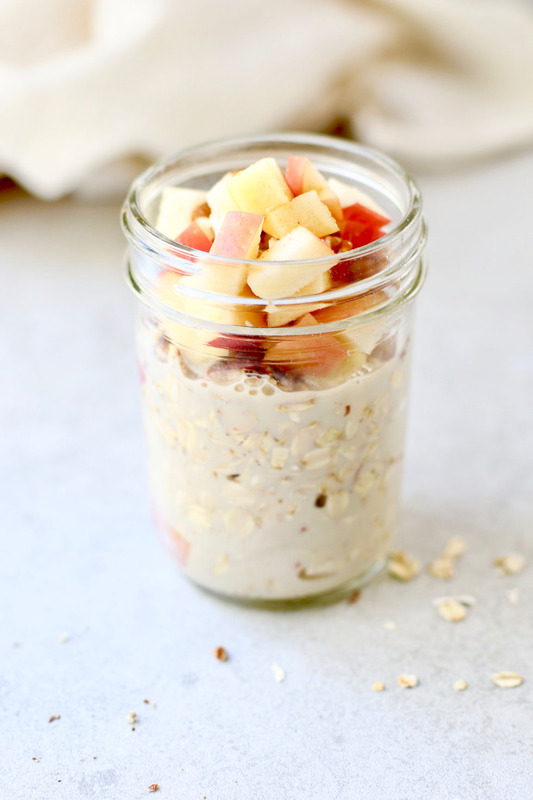 Stack your oats for the week. 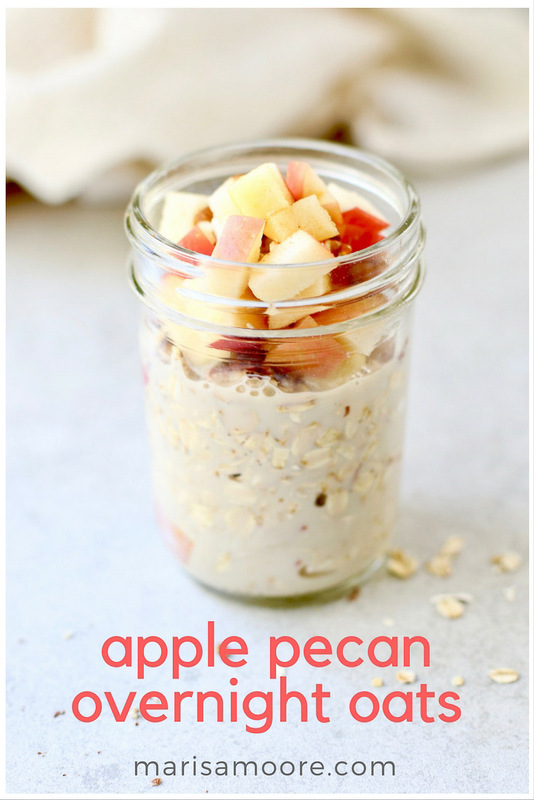 Put breakfast on auto pilot with this no-cook, apple pecan overnight oats recipe. 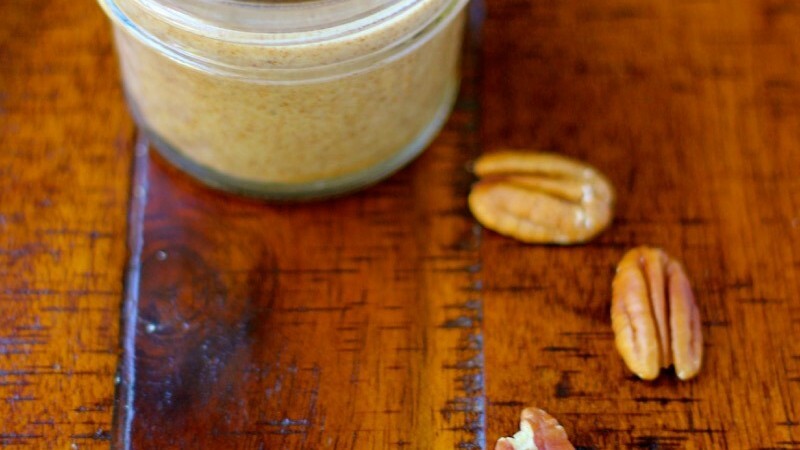 Put all ingredients into a jar or glass bowl with a lid. Next Day: Grab your breakfast and go or heat it to take the chill off. This one is delicious warm or cold!